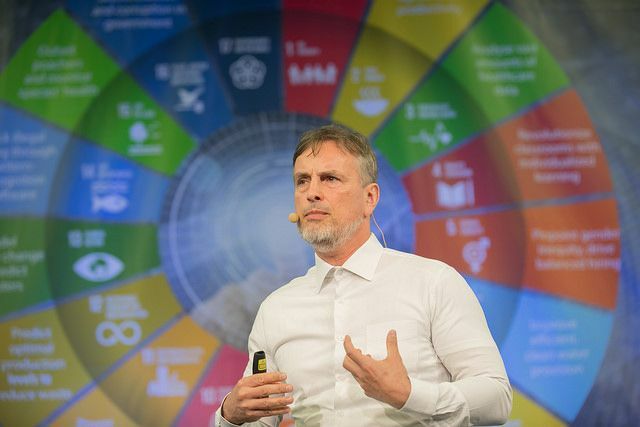 Schmidhuber’s ‘moonshot’ keynote address to the AI for Good Global Summit looked to the stars. And where might this self-improving AI lead? “AIs are going to realize what we realized a long time ago, that most of the resources are not in our thin film of biosphere but out there in space.” Earth receives less than one-billionth of sunlight, with the remaining energy escaping our grasp. “It’s not going to stay like that,” says Schmidhuber. Watch Jürgen Schmidhuber’s keynote address from 1:02:00 to 1:17:20 in the archived webcast of the summit’s opening session. The first day of the AI for Good Global Summit set the stage for the event’s discussions of AI’s potential to address challenges such as hunger, poverty and the protection of our environment. Learn more from the Day 1 highlights video.